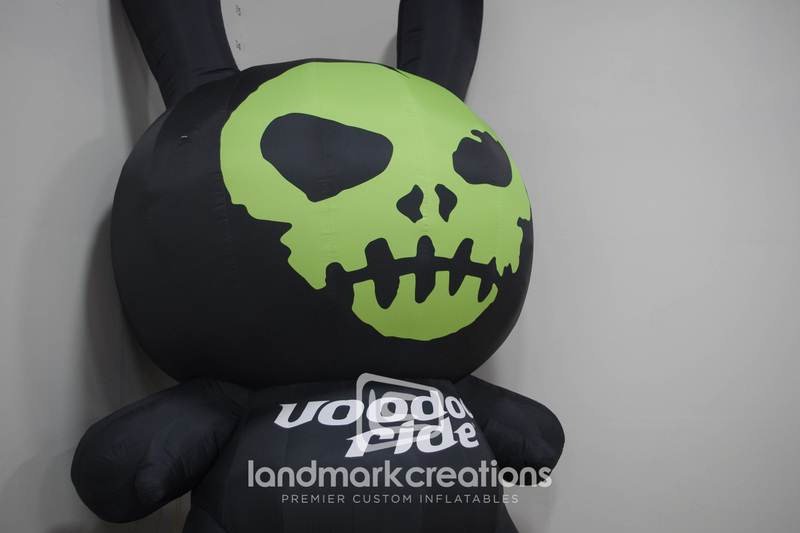 Car care product manufacturer Voodoo Ride strapped a giant inflatable of their iconic bunny mascot to the back of a pick-up truck stand out from competitors at a car shows. 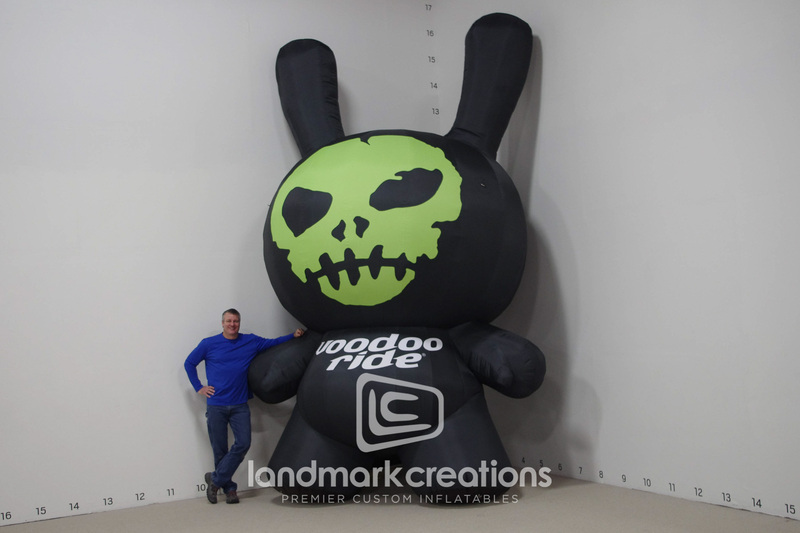 This helped long time customers pick them out of a crow and drew clientele in for a better look at the inflatable, and their products! 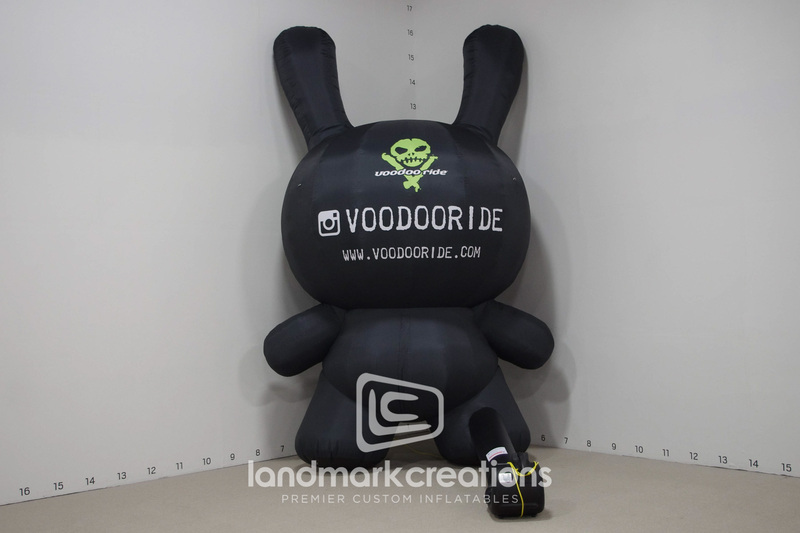 Durable and eye catching, you can be sure to see this bunny at future car shows! "[There was] fun, excitement, and encouragement for everyone to actually walk under/through [the arch] and it worked. We have cheerleaders and small children at the finish line by the arch handing out stickers, saying ‘I did it.’ Before we had the arch, [people] would straggle in anywhere."